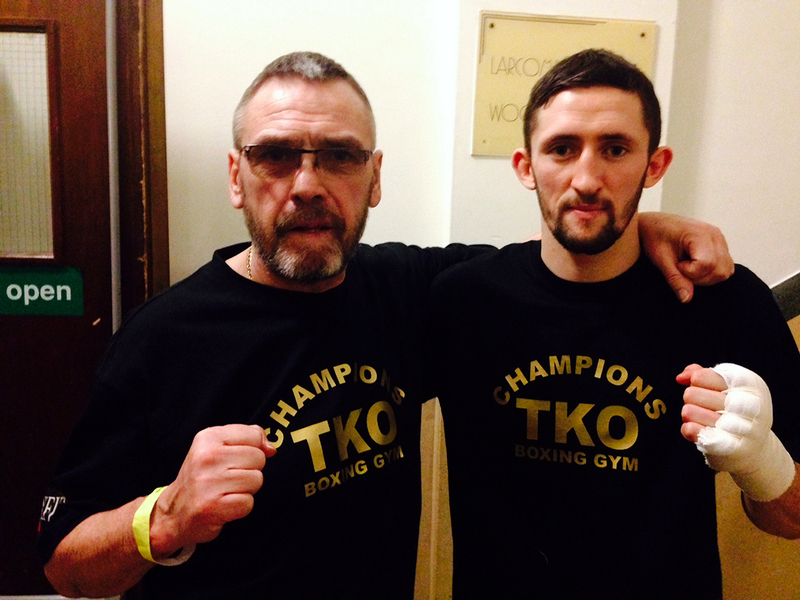 London – Tuesday, 10th February 2015 – We may only be just forty days or so into the New Year, but Johnny Eames and the Champions TKO team are already very, very happy with the way everything is going for them in 2015, first off they secured new premises for the famous gym and now just over two weeks into the new Boxing year have had a string of seven successes for their ever growing stable of boxers. Earlier today the aforementioned Mr. Eames took a little time out from his busy schedule to talk about the excellent start to the year, for his highly talented young prospects. “Yeah, what a great start to the year for the Champions TKO boys. First up we had four boys out at York Hall on the 30th January, unfortunately I couldn’t get to the show because my boiler burst and my house was flooded, but I kept in touch with everyone to make sure the boys were alright. 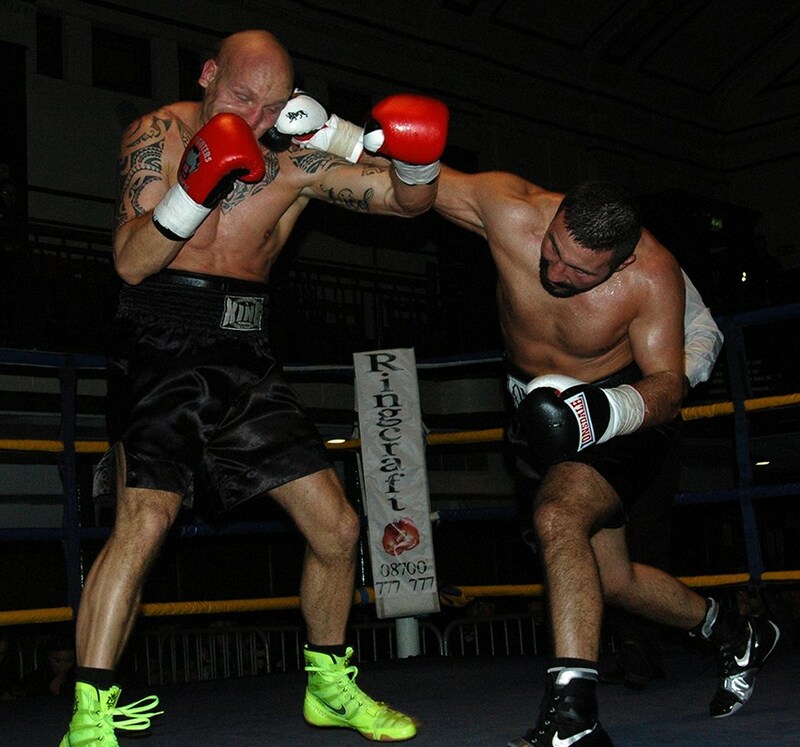 First in action was Antonio Counihan and from what I heard he put in another stunning performance, stopped his opponent in the third, after dominating the fight from the start. As promised he now has an eight rounder in his next fight, on the Stephen Vaughan show in Liverpool on the 20th March. Then hopefully he’ll get to do something up in Birmingham for an MBC International title or similar. 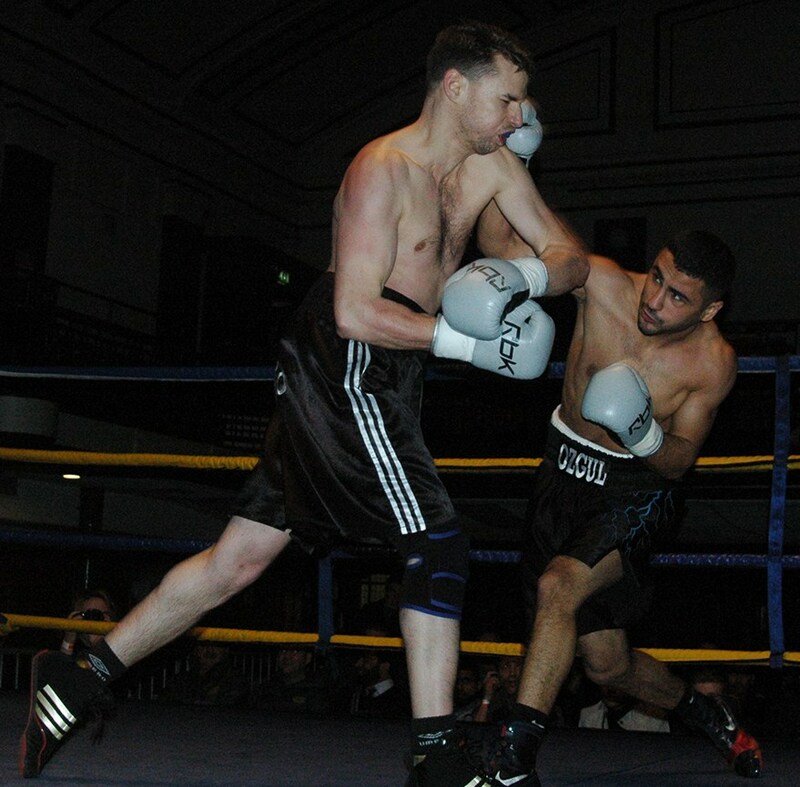 Next up on that show was Tasif Khan, boy did he shake the rust off, short and sweat, stopped his opponent in just sixty-five seconds. From what I heard he put on a fantastic display, gutted I missed it but hopefully get to see him next time he’s out, which is also on the Stephen Vaughan Liverpool show in March. Apparently the fight of the night was our Onder Ozgul’s, a real barnstormer Rio (TKO’s Gianluca Di Caro) said, all action and at a high pace as per usual from Onder. This kid’s ready to move onto six rounders now, like his brother Siar, to be honest with you. As I just said Siar did his first six rounder, again a cracking fight by all accounts, everyone’s so pleased with his performance on the night. It sounds like he’s learned to judge his pace now, rather than go hammer and tongs for the whole six rounds, he paced himself nicely for the full six rounds. 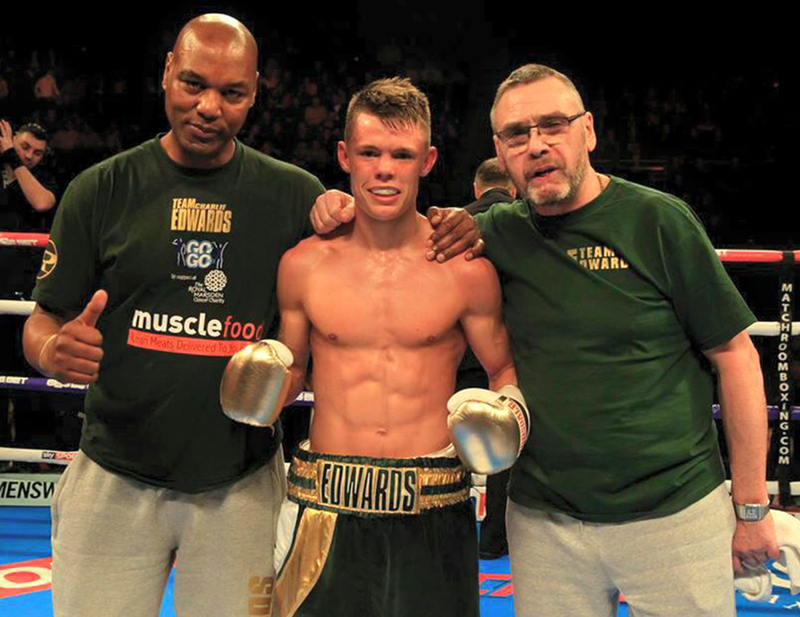 On the following night we had Charlie Edwards, making his debut, and Tommy Martin fight for the English title at the O2. Charlie, what can I say he was f**king tremendous. For a kid having his professional debut, I was so impressed with his attitude and professionalism, he never wavered from what he had to do and the occasion never got to him. 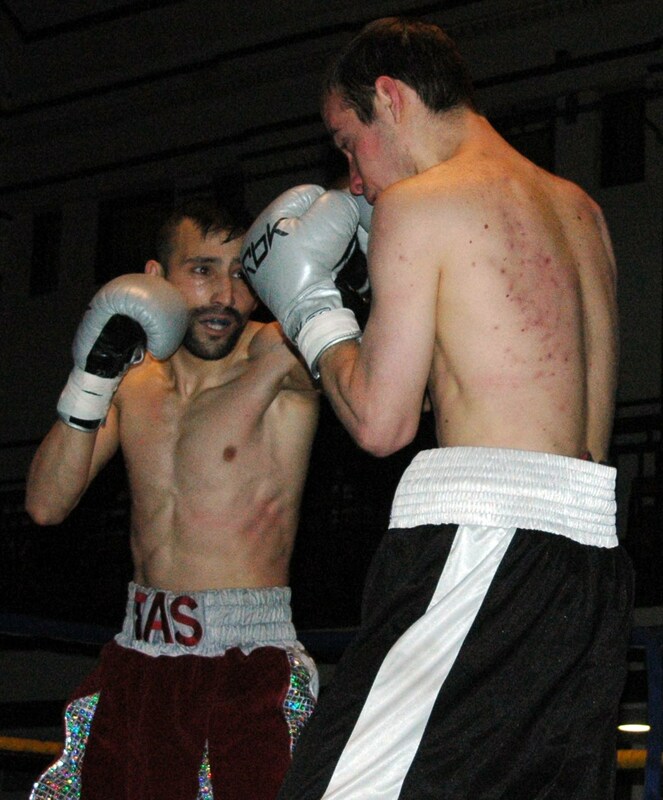 When he got in the ring he was nice and cool, listened to every word that Brian (coach Brian O’Shaughnessy) said. I told him that he didn’t have to impress, because he’s very good anyway, so no need to try and be good, as he is. 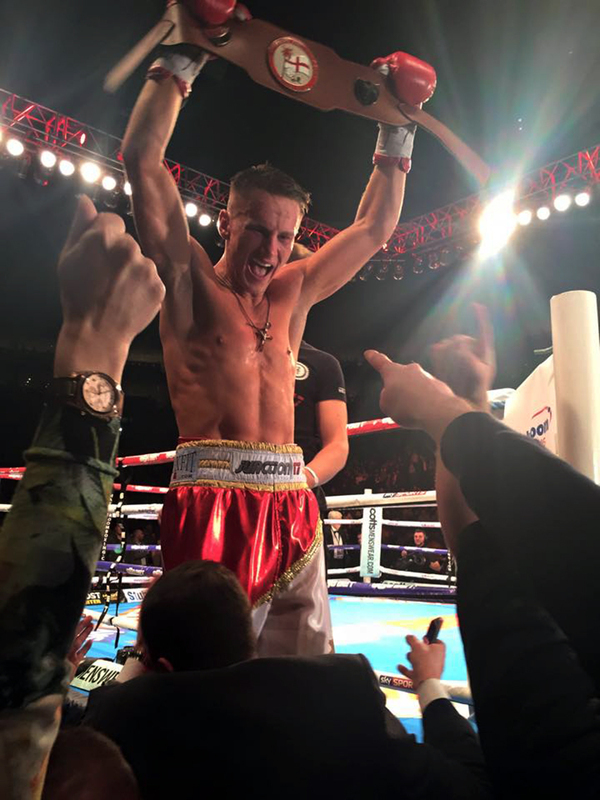 It was an absolutely perfect match for his first fight, not a walkover that some of the big names get, he was a very tough kid, who came to fight and really believed he could win, which played right into Charlie’s hands. The kid got a systematic beating from round one to four, but that don’t take away from the kid’s own effort, because he was really trying and then Charlie caught him good with about six seconds to go and that was it. It was just unbelievable, unbelievable I was just so impressed with Charlie. Then we had our Tommy Martin, what can I say this kid walked into our gym two and half years ago now, just eighteen years old and I took a little gamble on him and I told his dad after his first fight, actually before the fight that I’d guarantee him ten wins and then I’ll let him off the lead, we delivered from our end, we got him ten out of ten. I have to admit I was nervous going into the fight, obviously having trained his opponent, Ricky Boylan, previously so knew Ricky is a tough kid and thought he may outman Tommy, but it was totally the other way round, Tommy outmanned him to be fair. Tommy slowed around the sixth round and I was worried that he had left something in the gym, but no problem he came back stronger. I can honestly say I think Tommy only lost two rounds, perhaps one or two could have been shared, but that would be being kind to Ricky, that’s how much Tommy dominated the fight. The scores were 99-92 and 97-93 twice, as you can see they were massively in favour of Tommy and rightly so. Fair play to Ricky he never stopped coming, as we knew he would, but for me Ricky didn’t have enough movement, he was moving his head when out of range but wasn’t when he needed to. 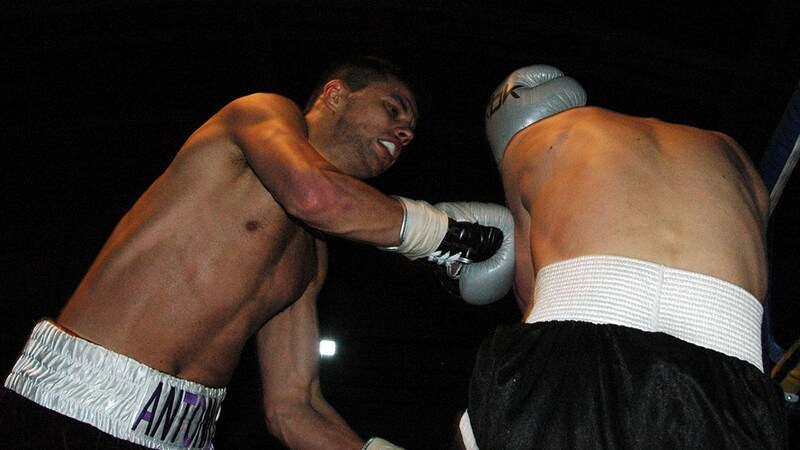 Now onto our latest debutant, Mickey O’Rourke, but first I must thank all the fans that turned up for him. He sold two hundred and twenty tickets but more turned up and bought tickets on the night, so probably had about two fifty turn out to support him. They were great, very, very boisterous, they made it a great night for him. Mickey was a bit nervous in the first round, once he got back to the corner Brian (coach Brian O’Shaughnessy) sorted him out. Either way he still won the first round comfortably, the other kid made it hard for him, like holding all the time, but Mickey negated everything he tried to do. Luckily the referee also was quick to break them up every time the kid grabbed Mickey, plus we got Mickey to let go with more than one shot to keep him from coming in to grab him. He won the bout 40-36 but the way he boxed in the last round the other kid did well to hold on to the end. I’m happy with that, he was just doing his job and I think Mickey learned a lot from the fight. The fans loved it, the first round as I said was a bit nervy but the next three rounds were exciting, Mickey’s going to be a crowd pleasing fighter, there’s no two ways about it, and I’m glad to be part of his journey. My mate Colin sent him over to me and he’s been very well schooled at Dale Youth, which has made my job a bit easier and I look forward to his next fight on the 21st March. I hope that all the fans that attended come again, as he needs all the support he can get as without ticket sales the journey stops and this kids too good for that to happen.